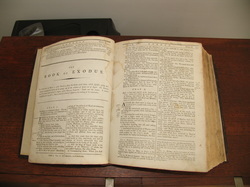 The Rhemish Bible shown here was published in 1791 and was handed down thro the family over a period of 6 generations. It contains some hand written family information. It is now in the possesion of Val Byrne.